Four Argentinian dudes in kilts playing Heavy Metal. F*ck Yeah! Sometimes a band break-up leads to greater things. After SKILTRON cleaved in half in 2011 three of the members went off and formed TRIDDANA. And they absolutely pummel the gods with their 2018 release ‘Rising From Within‘. A brilliant Folk/Power Metal album. Guitarist Juan José Fornés, once again, proudly provides his unpolished roar. And, although, he may not hit the notes as well as ex-vocalist Diego Valdez his lower-octaves allow the Bagpipe and Whistle hooks of Pablo Allen to soar. Call it killer Argentinian(!) 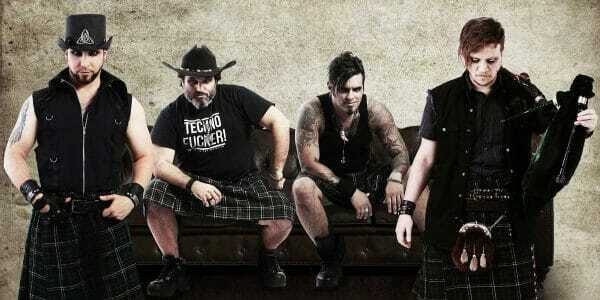 “Kilt Metal”. These 11 independently released tracks cut and weave better than most in the land of Metal. Shown little mercy we’re quickly savaged by opener “Dare to Tame Me” and the whistle powered knock out of “When Horizons Blaze“. Digging those ear-worms out is going to f*ck you up. Seriously. With the bagpipe-guitar dueling “Raging Fire“, Power Prog anthem “Stray From the Path“, balladic haunter “The Light You Left Behind“, and Modern hefter “Stages Falling” rounding out the highlights. I couldn’t pin it down at first; however, as I listened I heard a distinct DISTURBED vibe flowing through. A not unwelcomed surprise. 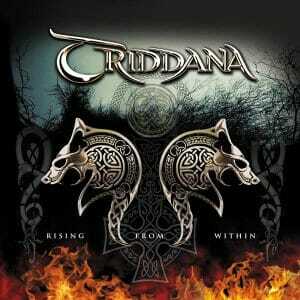 The hooks just keep on coming in TRIDDANA’s ‘Rising From Within‘. A notable showcase of South American Metal played with a Scottish folksy flair. When stellar musicianship just won’t cut it, add bagpipes and an endless supply of bottomless hooks. Amazing Celtic Power Metal. – Synced –* A nice balance of art and entertainment.